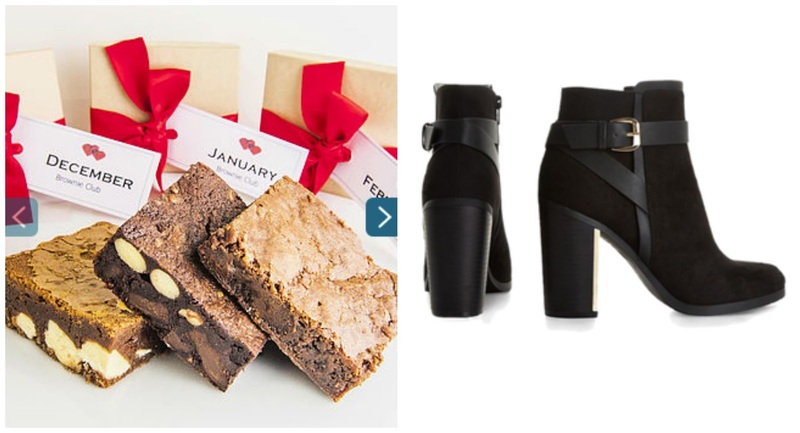 Beautiful You: Blogmas Day 6 | Gift Guide For Her! Blogmas Day 6 | Gift Guide For Her! I've actually stuck at this for nearly a week now, I am quite proud of myself considering I decided to start a day before December. Today's post is going to be about my top 6 gifts for girls this festive season, there are 2 that are £30 and under, 2 are £50 and under and the last 2 are £100 or more so there should be something for everyone. My first gift idea is a pair of black boots. Everyone loves a good pair of boots in the winter and black goes with everything so you cannot go wrong there. I found these from New Look for £29.99 and I love the fact that they have buckles on as I think it adds that something different and it makes them look a bit more dressy. I definitely think that you could easily dress these down for during the day and easily pair them with a dress and and a clutch bag for a night out! The second gift idea is a brownie subscription service, this is a bit weird but who doesn't love chocolate?! It is from notonthehighstreet.com and you can get different flavour brownies delivered to someone every month. There are 12 different flavour to choose from such as white chocolate chip, toffee brownie and chocolate orange but you can read more about it here! I found this really amazing idea on notonthehighstreet.com again, this is my favourite website for Christmas presents! It is a necklace that's a locket and inside there are several gems that you can personalise to the girl you are buying for. Each colour represents a different birthstone for each month and I think its such a cute idea for something more personal and specific to the lady in your life! You can find it for £49 on the website here. Secondly, I found an afternoon tea deal for two which I would so love to be bought for Christmas. It is a voucher for two to go to Harrods and have afternoon tea, I don't know about anyone else but I love going out for afternoon tea with my family and you can always take a loved one with you instead and what better place than Harrods! You can find the link to the deal on virgin's website here. 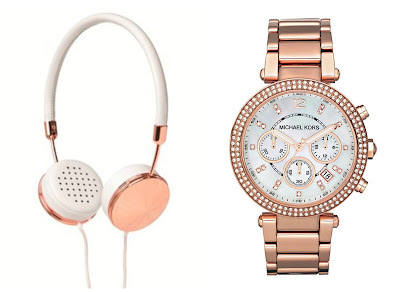 This first one is something that I would really love, they are a pair of headphones that are rose gold. Now I know not everyone liked rose gold but these are beautiful, they are made by a company called Frends and they retail for around £120 and you can find them online here and I honestly think you cannot go wrong with them. 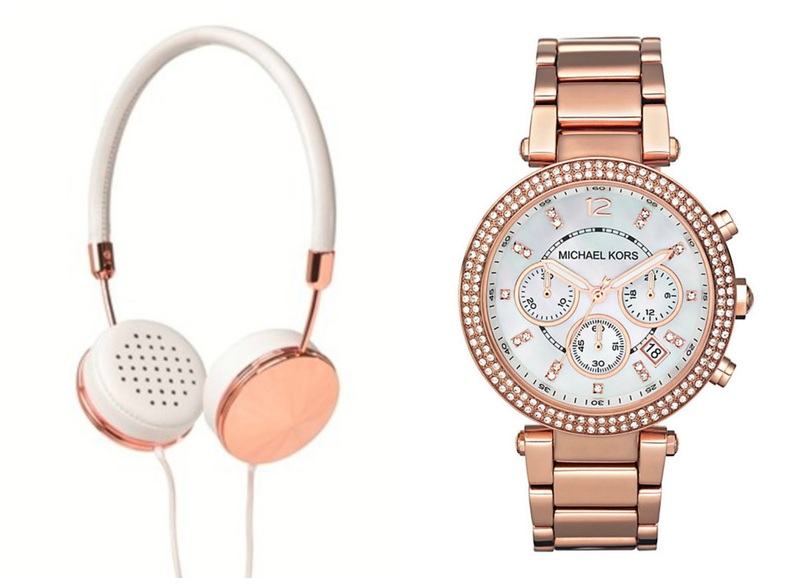 The last idea is also rose gold and its a Michael Kors watch, you don't necessarily have to get a rose gold one that is just my preferred colour. Every girl would love a nice watch for Christmas and Michael Kors watches are such good quality without being overly expensive so they are a brilliant option. This one can be found online here for an amazing £129! So those are some Christmas gift ideas for her that I think people would love this Christmas. What are your top gift ideas? What are you buying the women in your life this year? Let me know in the comments below because I love hearing everyone's suggestions!